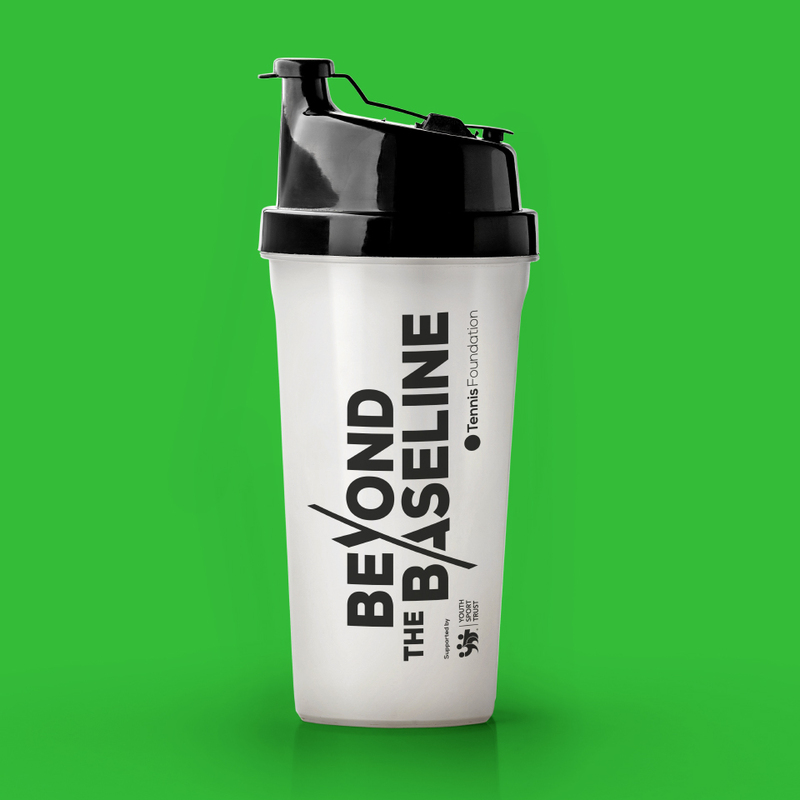 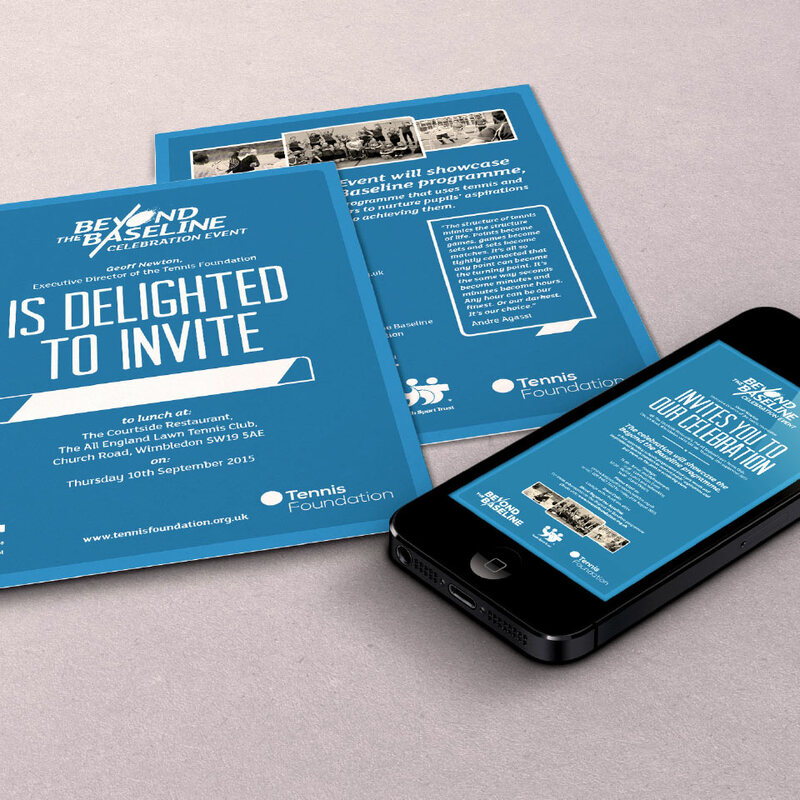 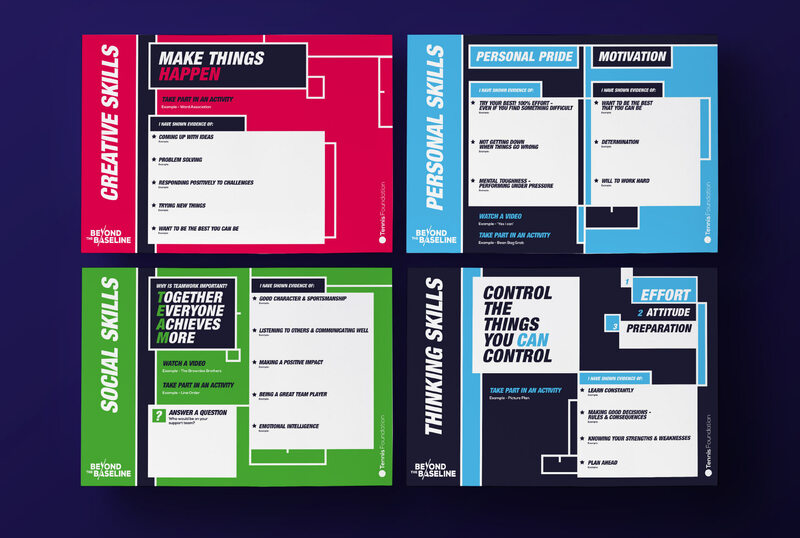 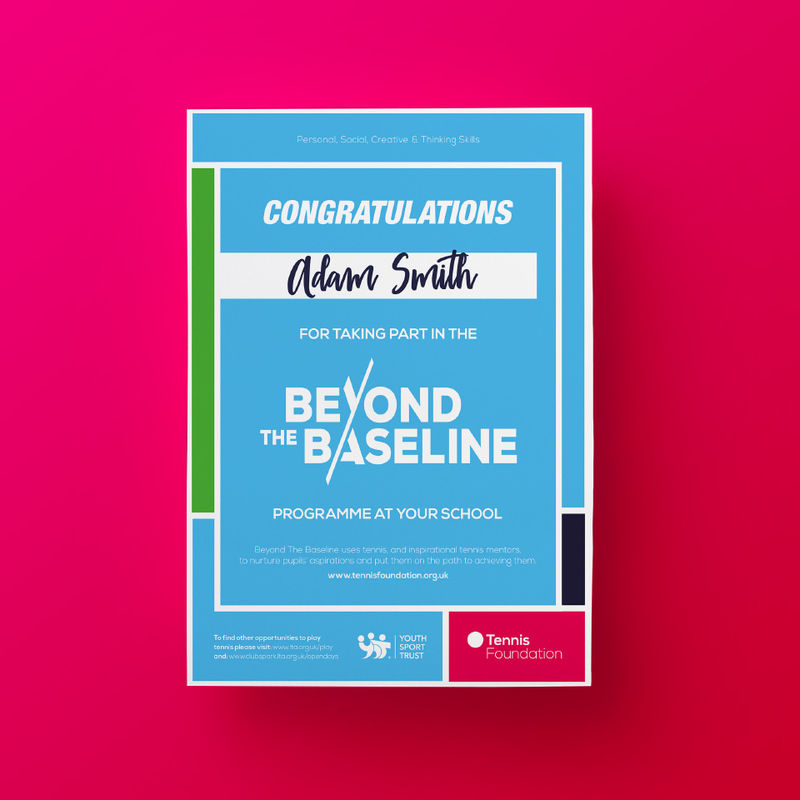 Partnering with the Youth Sport Trust, The Tennis Foundation approached us to design the identity for their social change programme called ‘Beyond the Baseline’. 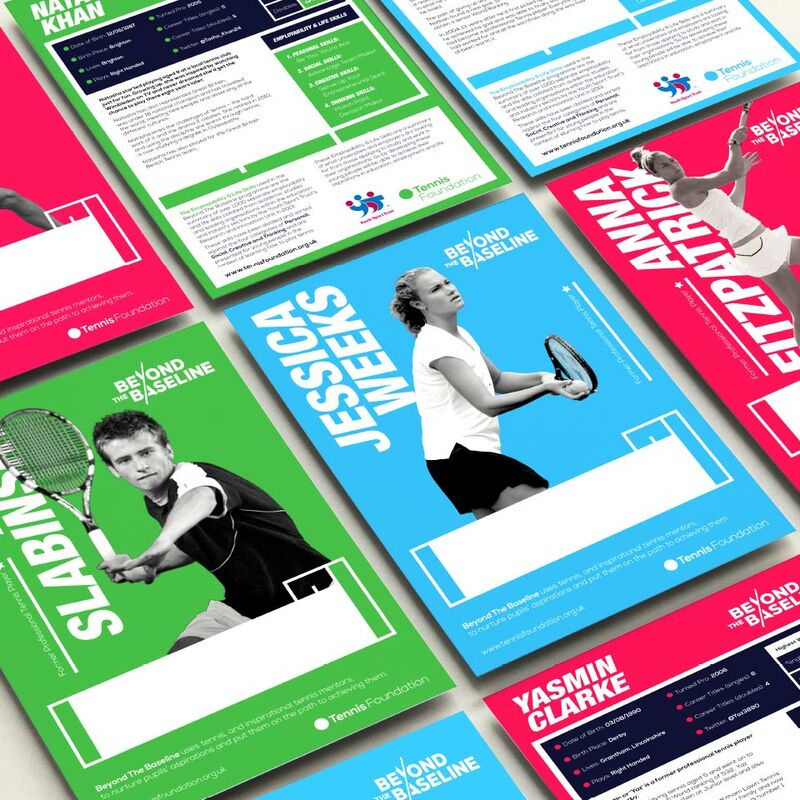 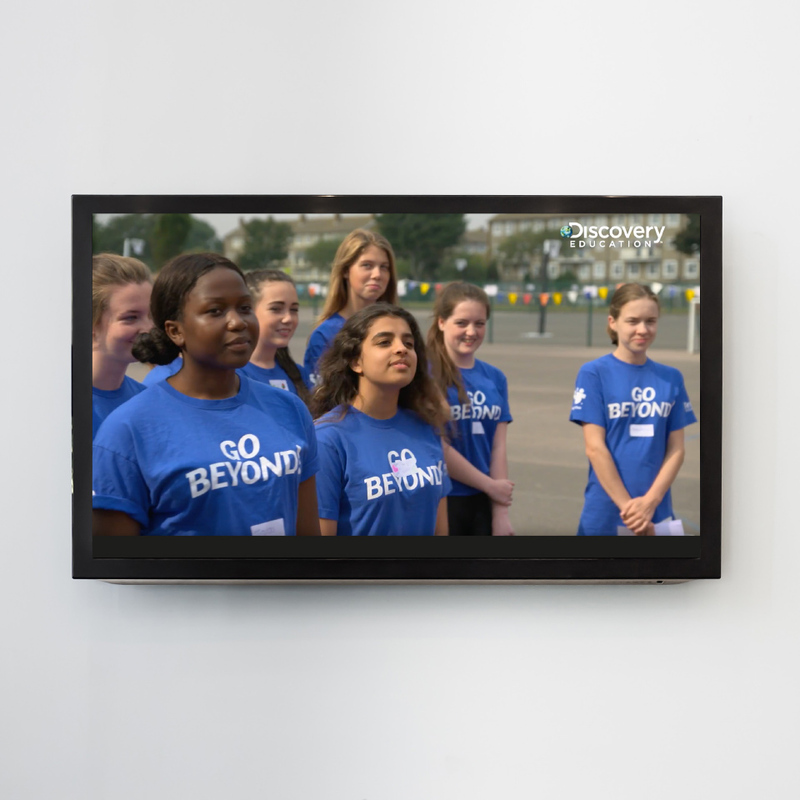 This inspirational programme uses the power of tennis to engage young people who may be struggling with their behaviour, confidence or academic performance. 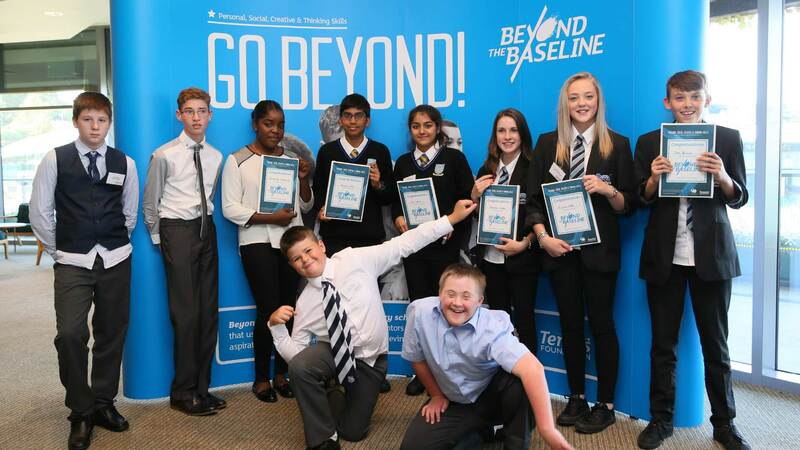 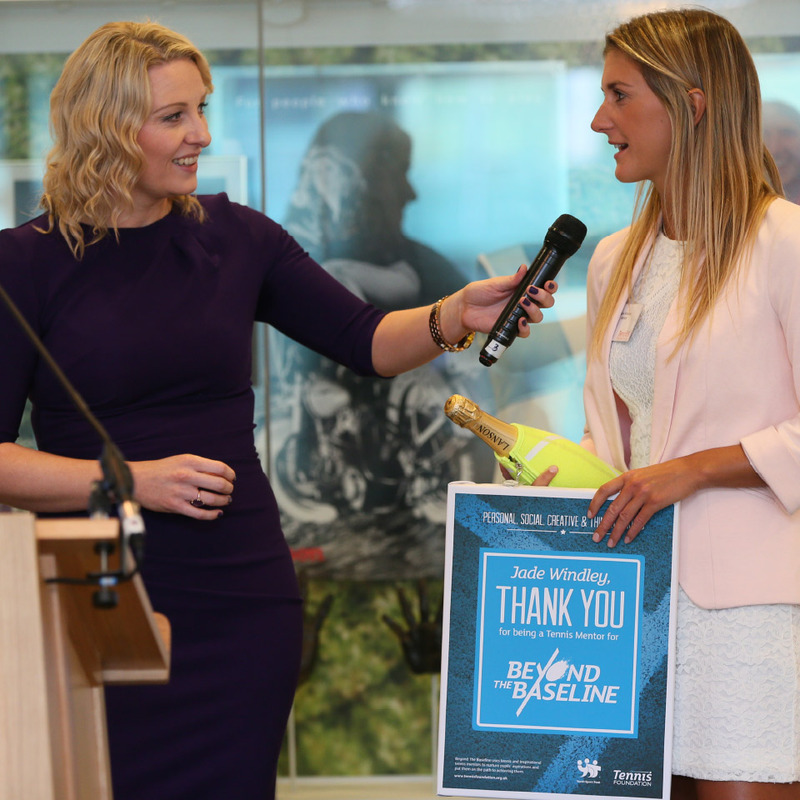 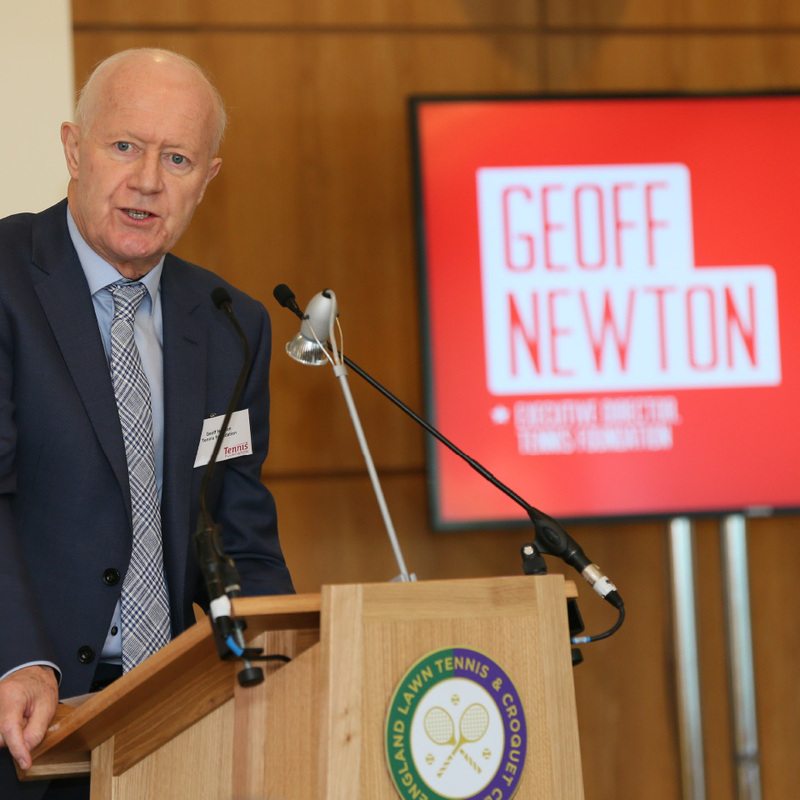 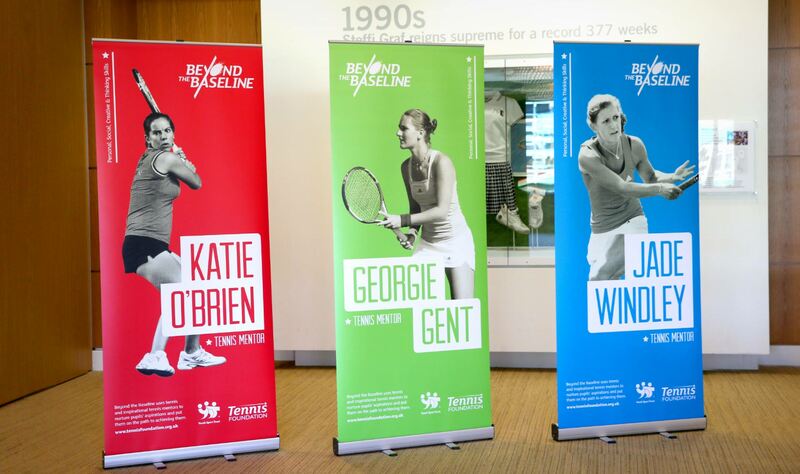 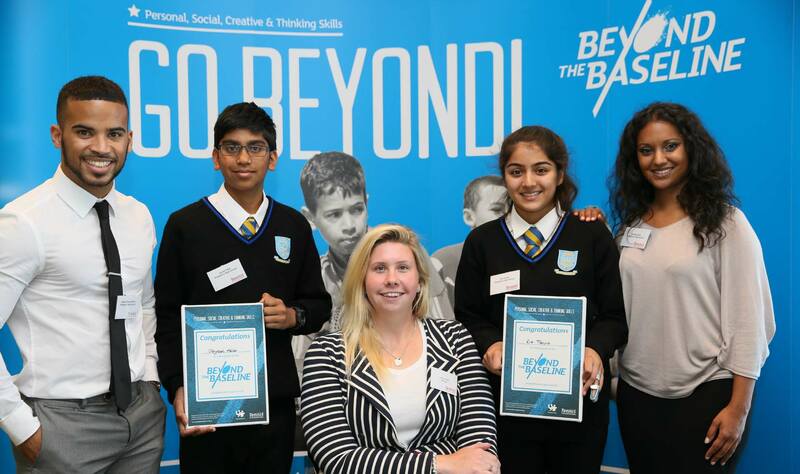 Beyond the Baseline sees former and current professional tennis players trained as mentors to work in disadvantaged schools to inspire young people and help them fulfil their personal potential. 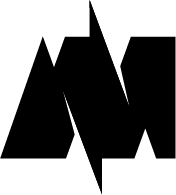 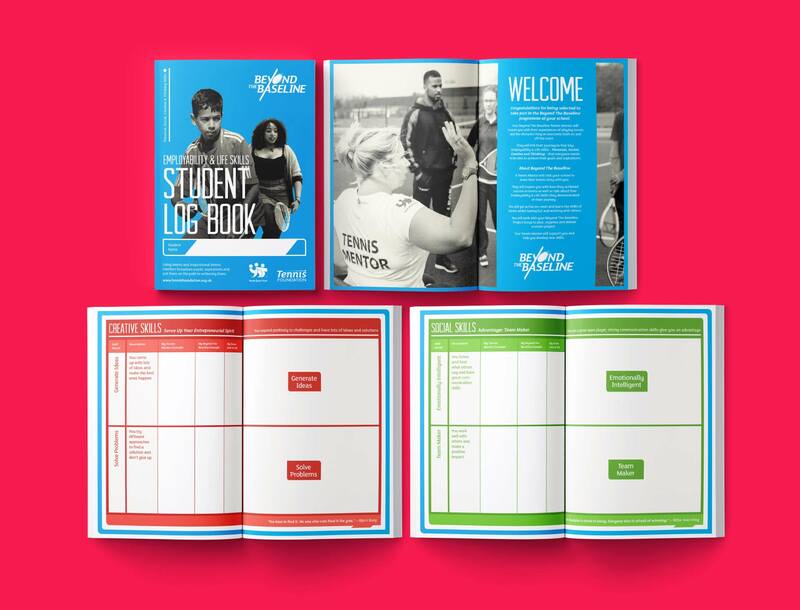 We developed a logo and identity suite to complement a range of educational resources which included; workbooks, large format scribble sheets, certificates and autograph cards. 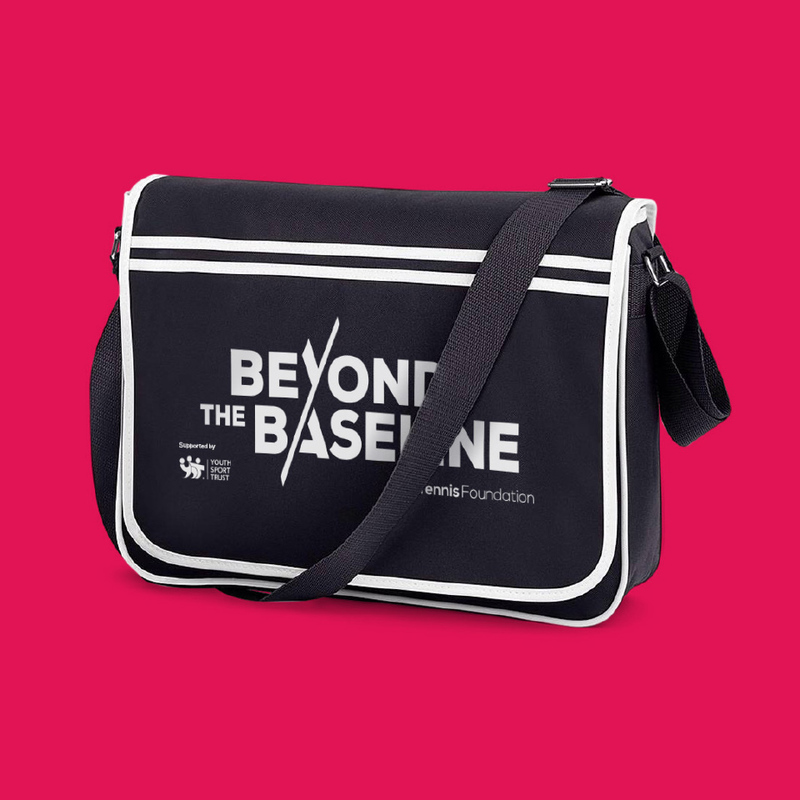 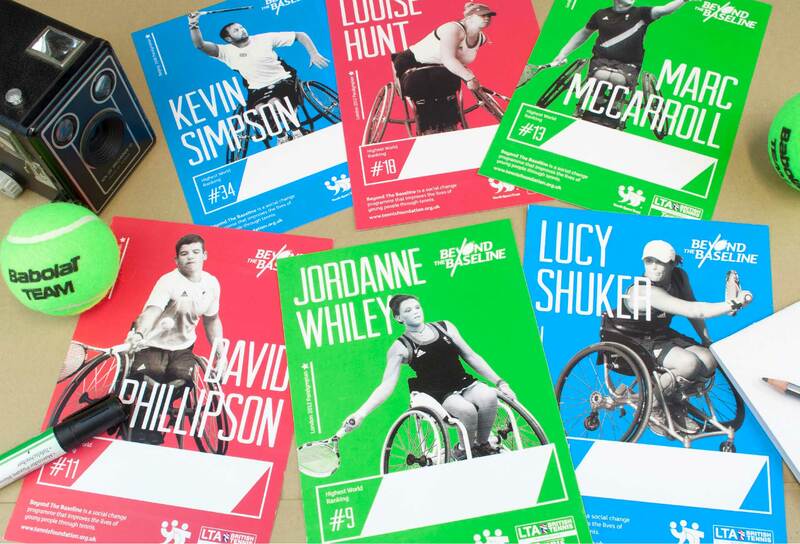 In addition we designed and produced a range of promotional materials including; banners, t-shirts, satchels, draw-string bags and drinks bottles. 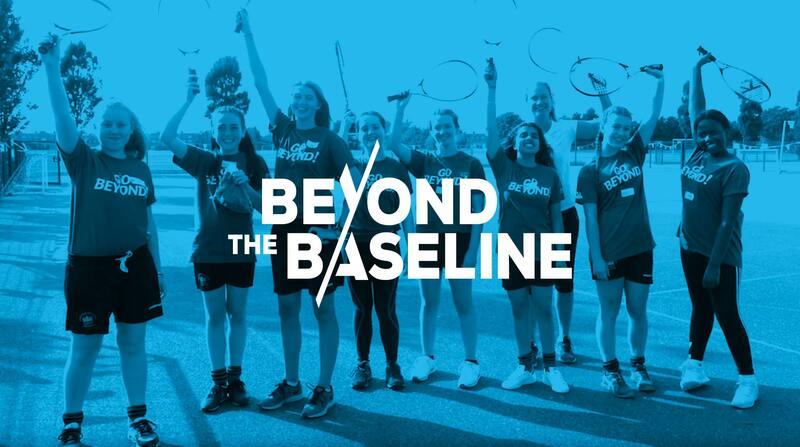 Beyond the Baseline continues to develop self-confidence, nurture students’ social skills and strengthens community relations with local schools. 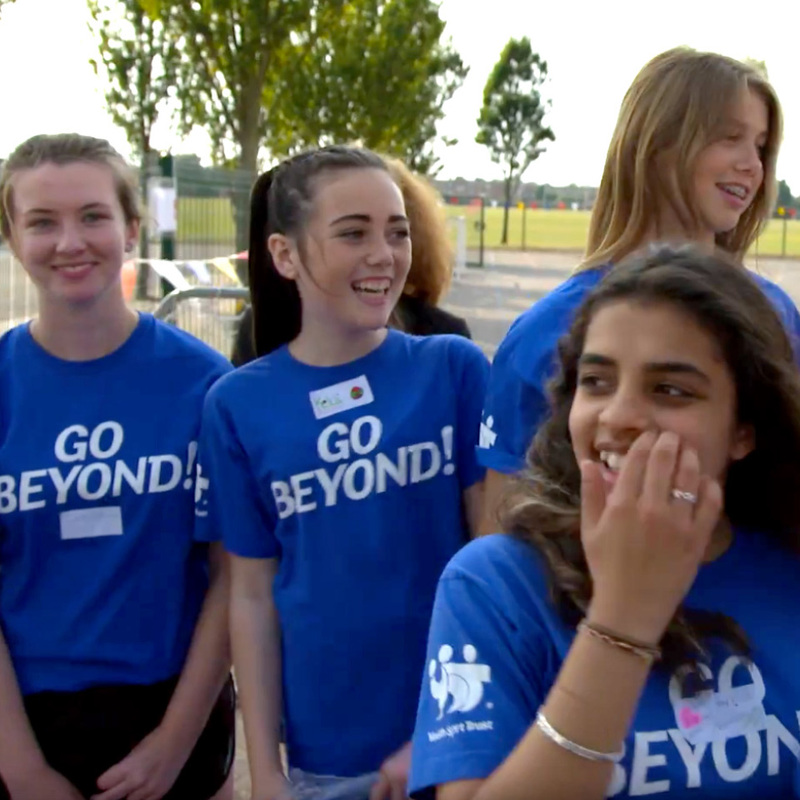 The project has been running for three years, and in 2018 will be in 58 schools working with hundreds of young people. 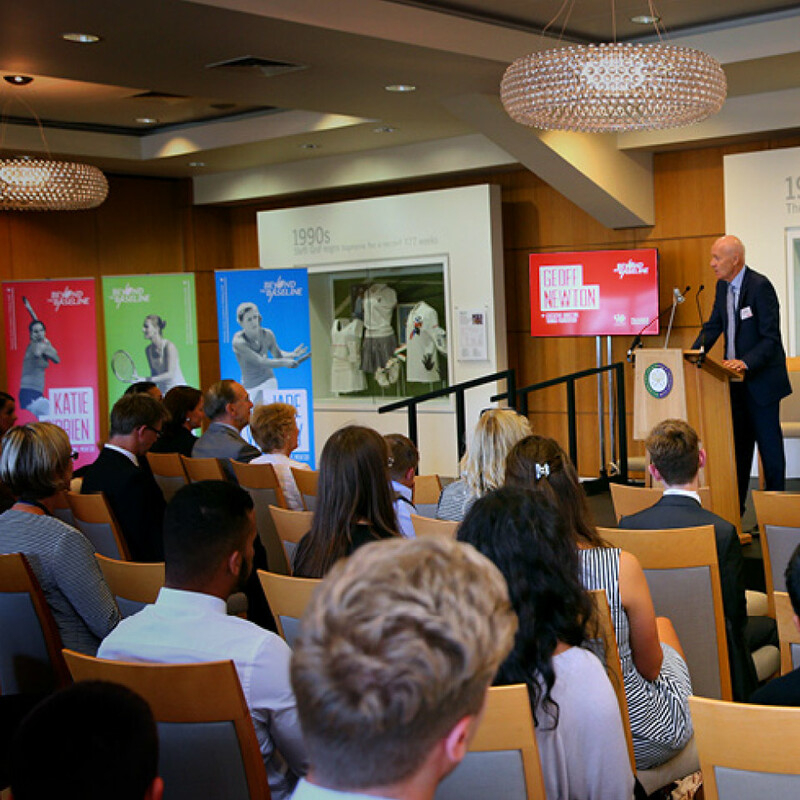 This year the programme will also be in five colleges as part of the Further Education pilot.